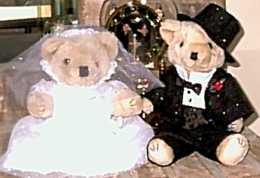 THESE ONE OF A KIND HHOF BEARS ARE FOR DECORATION ONLY. NOT MEANT TO BE TOYS DUE TO SMALL PARTS! THANK YOU! YOU CAN PICK FROM ONE OF THE BEARS BELOW OR TELL ME WHAT YOU WANT AND I WILL MAKE IT FOR YOU! SO FAR I HAVE BEEN ABLE TO MEET ALL YOUR SPECIAL REQUEST NEEDS! ALL BEARS ARE VERY DETAILED AND COME WITH THE OFFICAL HHOF LOGO! 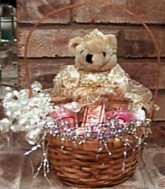 EACH BEAR ALSO COMES WITH A TREAT BAG STUFFED WITH CANDY AND SOME ARE STUFFED WITH TINY TOYS! PLUS i ALWAYS THROW IN A SURPRISE FREEBIE WITH ANY BEAR PURCHASE! 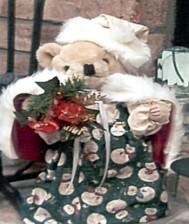 HHOF ANGEL BEAR. GOOD SIZE WITH LOTS OF GLIMMER SHIMMER W/ SILK WINGS. HHOF DRACULA BEAR! SHIMMERING UNDER SHIRT, FANGS INCLUDED! MUHAHAHAHAHA! HHOF BASKETBALL BEAR...HAS REAL TENNIS SHOES AND SOCKS, BASKETBALL, SWEAT BANDS, RED JERSEY AND PANTS AND HHOF GOODIE BAG. HE IS THE LAST ONE AVAILABLE! LARGE FIREMAN HE COMES WITH ALL OF THE ABOVE..AWESOME DETAIL AND A FIRETRUCK! 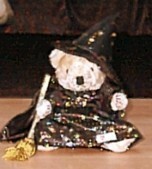 LIMITED EDITION HHOF BUNNY TRICK OR TREAT BEAR! COMES WITH BUNNIE SLIPPERS, EARS, GLITTER MASK, HHOF TREAT BAG AND MORE! 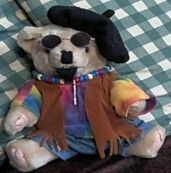 LIMITED EDITION MUMMY BEAR. THERE WILL ONLY BE 20 OF THESE MADE! 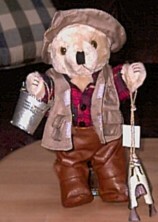 HHOF FOURTH OF JULY BEAR OR COWBOY BEAR IF YOU LIKE..
BIKER BEAR...I LOVE THIS ONE! 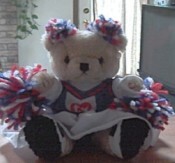 BASEBALL BEARS..THESE ARE REALLY CUTE TO! WILL HAVE PICS OF ALL OF THESE UP SOON! THE FASTED WAY TO RECEIVE YOU BEAR IS ORDERING RIGHT HERE THROUGH PAY PAL. IF YOU DONT HAVE A PAY PAL ACCOUNT YOU CAN SIGN UP THROUGH THIS SITE AND THEY WILL GIVE YOU $5 FREE BUCKS! WE ALSO ACCEPT CHECKS OR MONEY ORDERS. PLEASE EMAIL US FOR THE CORRECT ADDY TO SEND THEM TO. YOUR ORDER WILL BE SHIPPED OUT WITHIN 5 BUSINESS DAYS. THERE MAY BE SOME SPECIAL CASES WHERE I WILL NEED TO SPECIAL ORDER SOMETHING AND IT MIGHT TAKE A BIT LONGER. CLICK HERE TO SAY WHAT PEOPLE ARE SAYING ABOUT OUR BEARS! MAY GOD BLESS THIS WEBSITE! IF YOU ARE ORDERING FROM CANADA PLEASE EMAIL ME YOUR ORDER. THERE WILL BE A LARGER SHIPPING FEE. WHILE YOU ARE SHOPPING CHECK OUT ALL OF OUR HHOF GOODIES FOR SALE!!!!! CLICK HERE FOR MORE INFO OR TO BUY HHOF STUFF! MORE BEARS! CLICK HERE TO GO TO BEAR PAGE 2! JUST WRITE IN THE ORDER LINE WHETHER YOU WOULD LIKE CANDY OR BATH.. It is very hard to tell by this pic but lots of silk and lace. She even has a matching silk headband and slippers that lace up! ON TO BEAR PAGE 2!!!!!! EMAIL ME WITH YOUR SPECIAL ORDER BEAR! MADE FOR NANA..SHE ASKED ME TO SHOW IT TO U!